NYCxDESIGN 2019 is right around the corner, and AN has a selection of highlights from what design-savvy visitors and NYC residents alike can expect. At a press conference held at the Parsons School of Design, officials from the New York City Economic Development Corporation (NYCEDC) laid out a selection of events from the fair, which will run from May 10 through May 22, 2019. 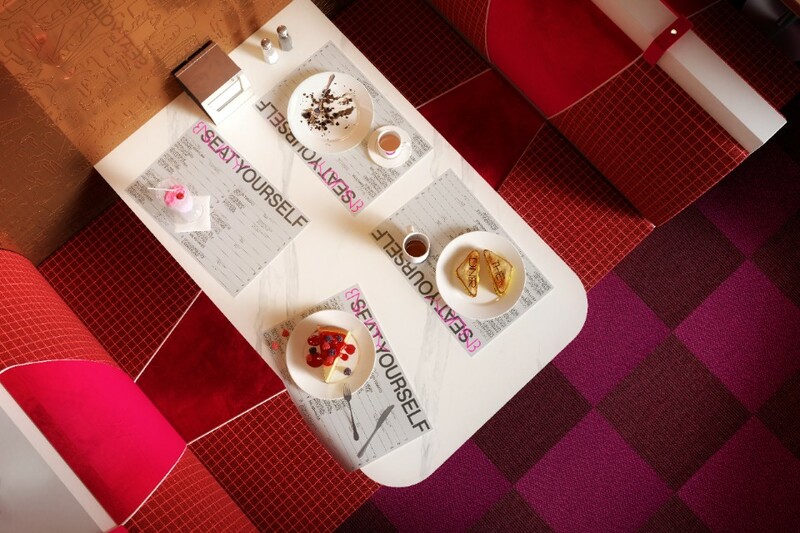 The Diner, a collaboration between David Rockwell, Surface Magazine, and the design consultancy 2x4 will return after a successful debut at the 2017 Salone Del Mobile in Milan. The pop-up restaurant will bring a “coast-to-coast journey” to diners, offering a mélange of American food and eatery aesthetics. DESIGN PAVILION will return to Times Square for the duration of NYCxDESIGN, bringing performance spaces, interactive kiosks, seating, an information kiosk, and a collaboration with Nasdaq. Sound & Vision, a two-week long show from the American Design Club on the confluence of sound, technology, and design will use the area as staging. New outdoor furniture from the Times Square Design Lab will also be making an appearance, as will a competition for public-space furniture. ICFF will once again take over the Javits Center from May 19 through the 22. This year’s showcase of high-end interior design will focus heavily on integrated smart home and office technology via ICFF Connect. Over 900 global exhibitors are expected to present their wares at the 2019 show. WantedDesign will return to Brooklyn’s Industry City in Sunset Park with more participants than ever; graduate students from over 30 international schools are expected to present their work. At WantedDesign Manhattan, SVA’s Products of Design MFA students will present Tools for the Apocalypse, a showcase of products designed for life after a climate change-induced apocalypse. Each contribution is grouped thematically into one of four categories (fire, water, earth, and air) and addresses the evolution of essential materials in a time of dramatic ecological uncertainty. While the details have yet to be finalized for the city’s five design districts, expect a collection of architectural walking tours, happy hours, and installations across New York's various Design Districts (Downtown, Madison Avenue, TriBeCa, SoHo Design District, and NoMad). Museums across the city are also participating. At the Cooper Hewitt, Nature will gather work from designers across all disciplines to paint a picture of a more harmonious, regenerative future. At the Museum of Modern Art (MoMA), The Value of Good Design gathers design objects from every corner (from home goods to toys to transport-related items) from the late 1930s through the '50s. Through the Good Design initiative that MoMA championed during that period, design was made more democratic and accessible throughout society, and this exhibition will track that shift. At the Museum at FIT, the School of Art and Design will host the 2019 Graduating Student show, not only at the museum but with pieces across the campus. Work from over 800 BFA students will be exhibited and represent areas ranging from jewelry to packaging to interior design. The Museum of Arts and Design (MAD) will spice things up with Too Fast to Live, Too Young to Die: Punk Graphics, 1976-1986. The show will look back on the often DIY flyers, posters, and albums from the era through a contemporary lens, similar to the Met’s 2013 examination of the lasting impact of punk fashion. On the architecture side, Fernando Mastrangelo Studio (no stranger to experimenting with concrete) will be casting a full-scale tiny home from cement, glass, sand, and silica. The “home” will contain a living room, bedroom, and exterior garden, and visitors can explore the house after its completion. 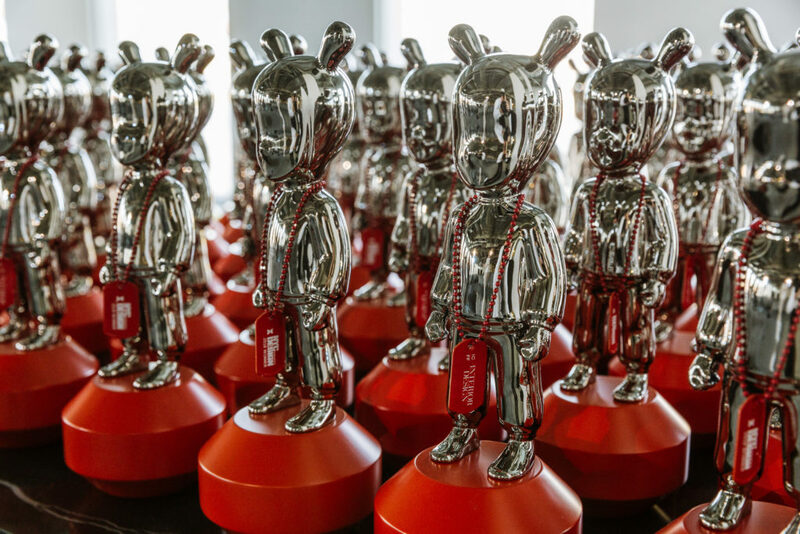 Following a kick-off party at the studio’s space in Brooklyn, the house will be placed on a trailer and moved around the city for a “Where’s Waldo” experience. Empire Outlets, the SHoP-designed outlet mall in St. George, Staten Island, opens in April. During NYCxDesign, architects from SHoP and representatives from Empire Outlets will lead tours of the sprawling shopping complex. The first El-Space, a repurposing of the area under the Gowanus Expressway in Sunset Park, was such a success that the Design Trust for Public Space and NYC Department of Transportation have followed up with El-Space 2.0. On May 16, a jointly-held event will reveal the project’s next iteration in Long Island City as well as the framework for planning future “El-Spaces.” The Center for Architecture is also planning to get in on the action, and from May 14 through 18, interested architecture buffs can take a sneak peek of this year’s Archtober lineup. Both the “Building of the Day” tours, which will highlight five buildings across the city’s five boroughs, and Workplace Wednesday, where architecture studios open their doors to the public, will be previewed. Of course, NYCxDESIGN, now in its seventh year, hosted nearly 400 events; too many to chronicle in one article. For now, those interested in staying abreast of the talks, workshops, gallery shows, retail options, and more can stay updated on the festival’s website. Although NYCxDESIGN 2019 begins in May, the New York City Economic Development Corporation (NYCEDC) is already looking ahead to the future. The scope of the 12-day design festival continues to grow, and as a result, the EDC has announced the selection of an outside operator. SANDOW, the parent company of Interior Design, Material Bank, and other resources for designers, will take over for the EDC as the celebration’s operator in 2020. NYCxDESIGN, now in its seventh year, attracted more than 330,000 visitors across 400 events last year and generated over $109 million in sales. The EDC claims that in order to keep growing the festival, it needed to pass off the operations management aspect. The department issued a public Request for Expressions of Interest in the summer of 2018, and ultimately selected SANDOW, in part because of the company’s vast media reach. It’s expected that SANDOW will be able to use its media portfolio to both thoroughly advertise the event as well as expand the types of programming available in New York. At a press conference this morning at the Parsons School of Design, Adam Sandow, CEO and founder of the eponymous company, took the stage to laud the decision and affirm his company’s commitment to strengthening the ties that the EDC had worked hard to make. SANDOW has been involved with the festival before; Interior Design has been an NYCxDESIGN Awards partner since 2016, and Luxe Interiors + Design has partnered with high-end interior showcase ICFF since 2015. Of course, the decision to hand a city-run festival over to a private corporation has raised questions about what the 2020 iteration will look like. The festival’s programming is led by a steering committee of New York–based designers, educators, institutions, and officials from the city, so the agenda and key NYCxDESIGN events are unlikely to change. The EDC is currently educating SANDOW on the day-to-day logistics of running the event to ensure a smooth transition, but until planning for NYCxDESIGN 2020 begins, it remains to be seen what the itinerary will look like. Plastic bottles are thought of as inherently wasteful, but what if the containers could go on to have a productive second life elsewhere? 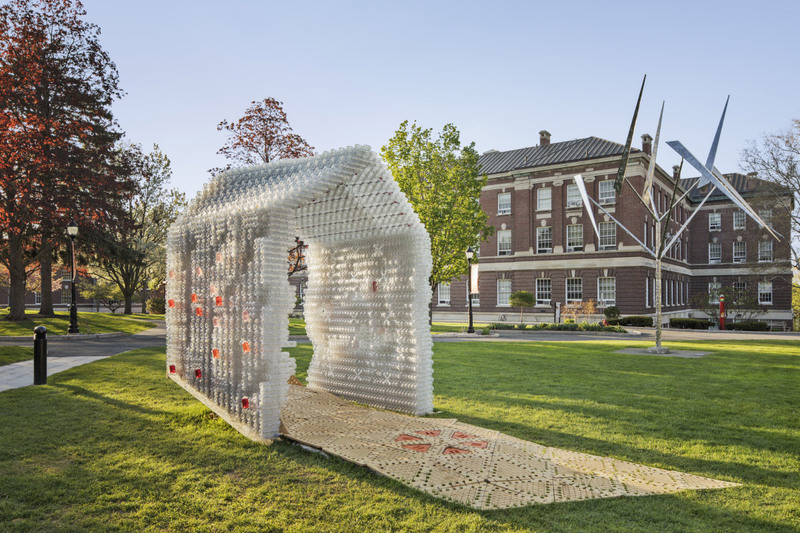 An experimental prototype shelter designed by an architecture design studio at Rensselaer Polytechnic Institute (RPI) in Troy, New York, wants to turn that packaging into structurally-sound shelters. Second Lives | After Bottles was first assembled on RPI’s campus where it endured real-world conditions and later moved to Industry City in Brooklyn for Wanted Design from May 16 through 22 (part of NYC x Design Week 2018). The installation was made possible through the use of a proprietary bottle patented by Friendship Bottles LLC, which uses grooves and wedges to create a tightly interlocking bottle design. Throughout the design studio, RPI students, educators, and engineers sought to design a shelter that would be self-tensioning, stable, and that used the least amount of materials. Even the bottles packaging has been integrated into the final design; the team has created a triangular wooden crate that can unfold to form a topography-following floor and acts as a base for the plastic walls above. 3D printed joints and cross bracing were used to connect bottles at angles other than what the bottles themselves allowed. Lydia Kallipoliti, project lead and Assistant Professor of Architecture at RPI, said that the aim was to ship as few materials as possible into a disaster area. With a 3D printer on the ground, crates of water and an assembly diagram could be shipped in and the required parts printed in-situ. The team found multiple uses for the bottles, running LED lights through the bottles making up the roof, and filling bottles on the side with water and food for easy takeaway. Testing is still ongoing to ensure that the final design would be tight enough to keep out rainwater. Another structure made from the same interlocking bottles was set up across from the Wanted exhibition hall, this one courtesy of RPI’s Center for Architecture Science and Ecology (CASE). The CASE team has built their “testing chamber” by arranging the bottles vertically and have been monitoring the internal heat, humidity, and air quality. Making sure that the bottles aren’t decomposing and releasing volatile organic compounds (VOCs) is especially important, as the UN has strict air quality guidelines for disaster shelters. Ultimately, the goal of Second Lives isn’t to introduce a new bottle into the plastic ecosystem, but to convert existing companies over, said Kallipoliti. If the Cokes and Pepsis of the world switched to a bottle that could then be used as a construction material, the worldwide reduction in waste would be immense. There's a lot to see this year at the International Contemporary Furniture Fair (ICFF). In addition to the new designs introduced by brands, designers, and studios, there is also a fashion collection, capsule collections, and new collaborations. Below we survey a handpicked selection of highlights you won’t want to miss. Warm Nordic at Together Nordic Design This collection is an ode to traditional Nordic minimalism. The charming wooden furnishings are part of Together Nordic Design an an exhibition curated by Snohetta that features a selection of furnishings from brands based in in Denmark, Finland, Norway, and Sweden. Roto m.a.d. Furniture design Fun yet functional, these colorful clock-shapes are designed to be used as both stools and side tables. The stool-table hybrid transform when flipped, emulating the aforementioned time measuring device. 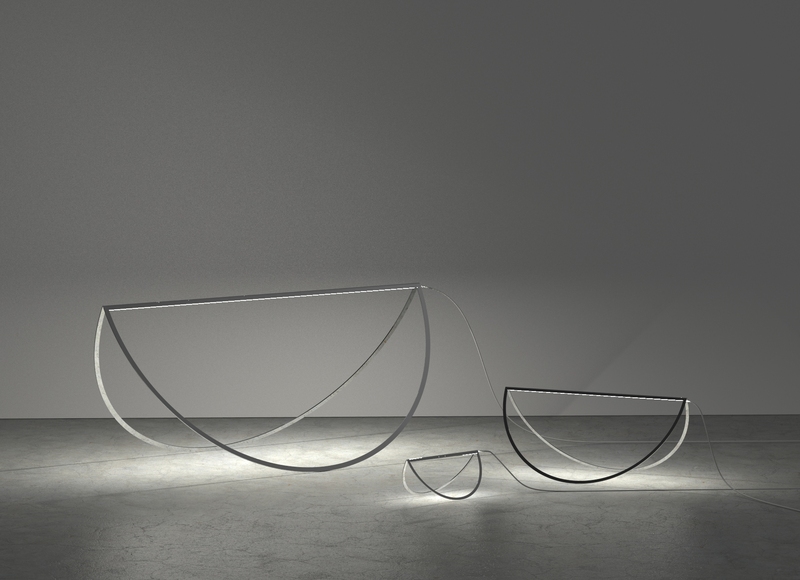 Either / Or at Collective Concept NYC-based studio The Coast debuted its first collection ever, a poetic lighting series inspired by the dichotomy between aesthetics and ethics. The fixtures turn on and off via human touch, which intentionally, causes them to gently rock to-and-fro. Basalt Tala British light purveyor Tala introduced sand cast, mouth-blown borosilicate glass fixtures inspired thousands of extruded basalt rock columns that make up the Giant’s Causeway in Northern Ireland. The petite collection of just two includes a ceiling pendant and touch-on-off table lamp. Arc Stools Skylar Morgan Furniture + Design These stools take the form of arched loggias. The Atlanta-based studio Skylar Morgan Furniture + Design fashioned the silhouette from wood, brass, and leather. This facade system is treated with an aqueous and titanium dioxide nanoparticle-based treatment, which creates a photocatalytic, self-cleaning, and decontaminating effect. Put simply, the photocatalysis-activated coating is accelerated by light, decontaminating the surface millions of times per second. As a byproduct, the autonomously cleaned cladding also improves air quality. Interior Design and ICFF present the third annual NYCxDESIGN Awards, a design competition honoring the best products and projects in New York City. The program celebrates outstanding talent across major areas of design, and unifies the more than 500 events taking place during NYCxDESIGN. The design industry takes over New York for NYCxDESIGN, a multifaceted platform for designers, showrooms, firms, students, and cultural institutions to share their latest projects, installations, and exhibitions. Here are a few highlights that you won’t want to miss from WantedDesign, Sight Unseen OFFSITE, ICFF, BROOKLYN DESIGNS, and independent studios. This collection of furniture, lighting, and decorative art objects is associated not with a particular genre but rather with a stylized aesthetic vocabulary that Christopher Gentner took a year to hash out in his Chicago studio. The collection— the culmination of sculptural abstractions, a metal material palette, negative space, kinetic components, and subtle pops of color—will be on view at ICFF. L.A.-based Kalon Studios designed a simple collection that accentuates the inherent beauty of wood. The series—comprising a table, bench, and stool—is manufactured in a Pennsylvania workshop that specializes in woodwork. 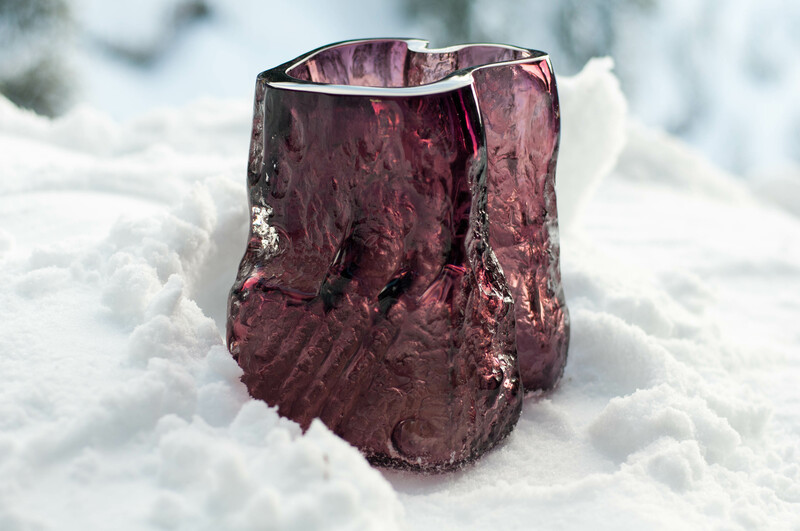 The Canada-based studio conjured otherworldly shaped glass containers by molding and casting glass around cork molds. The collection of vessels, goblets, basins, decanters, jugs, and pitchers will debut at Collective Concept, the capsule exhibition of the Collective Design fair at ICFF. For Collective Concept at ICFF, Allied Maker designed six totems of light, each articulating a single material. The studio collaborated with six local artisans, each of whom specializes in either wood, metal, glass, stone, ceramic, or fabric. All of the luminaries stand over seven-and-and-a-half feet tall, creating a heightened presence informed by material and shape. Guadalajara, Mexico–based design studio Mexa teamed up with the New York City–based gallery kinder MODERN to craft a collection of outdoor furniture for children. The colorful handmade series includes a collapsible play tent, rocking planters in multiple sizes, a sculptural outdoor double-seat chaise, and individual open-frame rockers. Design duo Justin Donnelly and Monling Lee conceived a cast-steel chair with a “clumsy pipe” framework, finished in auto body paint and saddled with a dyed fur seat. The playful form was inspired by Konrad Lorenz’s 1949 study of “baby schema,” which the zoologist and Nobel laureate believed would trigger “innate releasing mechanisms” to elicit sympathy in the beholder. In the international wing at Wanted Design, visitors are encouraged to configure and reconfigure partitions to make one solid mass. Articulated by vibrant and contrasting colors, three modules of varying sizes form myriad seating combinations. NYCxDESIGN kicks off this week, and our first ever Tech+ Expo will be part of it. Check us out on May 23rd from 8:30 a.m. to 6:30 p.m. at 639 West 46th St. For more information visit techplusexpo.com. A wave of new technologies is transforming the architecture, engineering, and construction industries. On May 23, The Architect’s Newspaper will host the first trade expo and forum to investigate this convergence: TECH+. Taking place during NYCxDesign month, New York’s official citywide celebration of design, the conference incorporates visionary speakers, engaging panels, live demos, and product displays from leaders in emerging fields like virtual reality, smart buildings, parametrics, advanced materials, drones and robotics, AEC Software, and mobile apps. Architects, engineers, designers, builders, real-estate professionals, investors, entrepreneurs, software developers, students, and makers will converge at Metropolitan West in New York—the center of one of America’s fastest growing tech markets—to discover innovations, come across start-ups, meet top experts, and build connections. A conference addressing new architectural technologies is both needed and timely, spurring new ideas, cross-pollination, and innovation. Over the past six years, AN has hosted 26 events for Facades+, a series of conferences taking place in cities around the country focusing on the future of building envelopes. TECH+ will build on that series’ success by teaming up with Microsol Resources TechPerspectives conference to host a full day of inspired presentations on the Innovation Stage. Presenters at TECH+ will include keynote speaker Hao Ko, a Gensler principal who helped mastermind the Nvidia headquarters building in Santa Clara, California, and the Mercedes-Benz headquarters building in Atlanta; Kerenza Harris, leader of Morphosis Architects’ advanced technology team; and leaders of innovative companies like Graphisoft, Humanscale, Kohn Pedersen Fox (KPF), FXFowle, Thornton Tomasetti, and more. Panels will discuss, among other topics, start-up technology investment, workplace design, digital printing and fabrication, virtual-reality environments, and on-site drone footage. More than a dozen exhibitors hail from around the AEC industry, in fields like BIM (building information modeling) software, virtual reality (VR), 3-D printing, engineering, and computer graphics. The conference will also showcase know-how from some of the city’s top tech incubators and research from cutting-edge technology programs at design schools like Columbia GSAPP, Parsons, MIT DesignX, and Pratt. Anish Kapoor has brought a liquid sculpture to the Brooklyn waterfront for his latest work of public art. Descension is a hot tub katabasis, an endless swirly into the depths of Brooklyn Bridge Park. The water, sculpted by a funnel, dialogues with the continuous flow of the East River and traffic over the Brooklyn Bridge in the near distance. 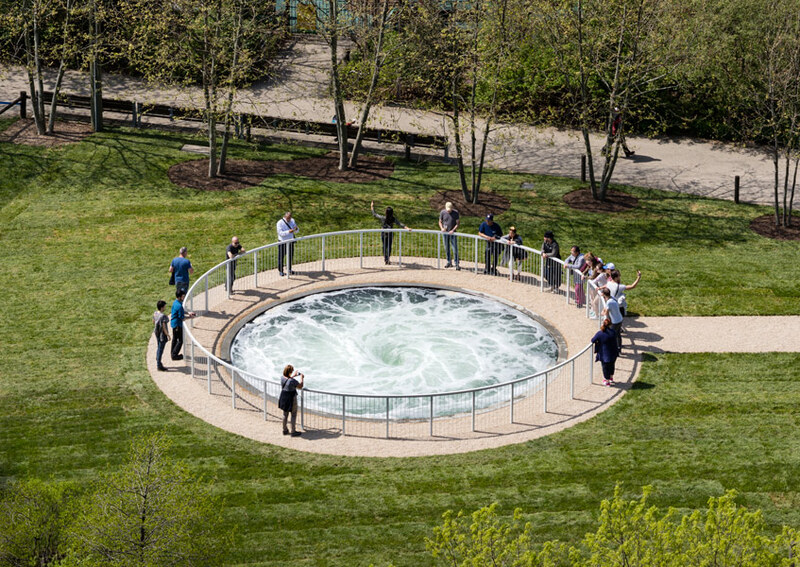 At 26 feet in diameter, the piece, presented here by the Public Art Fund, builds on Kapoor's longtime exploration of emptiness (and could also be seen, depending on your politics, as an apt metaphor for the state of the world today.) Up close, its foamy surface—and gurgling machinations—feels peaceful. For safety reasons, a thin white rail encircles the piece to prevents toddlers and Pomeranians from drowning, but also creates distance between the visitor and the void. A video of the installation can be seen below. This is the nonprofit's fifth year in Brooklyn Bridge Park, but it's not the first time the Public Art Fund has exhibited work by the London-based artist. In 2006, the group brought Kapoor's Sky Mirror, a 35-foot-wide concave mirror, to Rockefeller Center. "The fact that this is free [to visit] matters," Kapoor said, at a press conference yesterday. "We believe that art liberates us, opens us, frees us, to have it as open access is a terrific thing," a particularly rich observation from an artist who's unapologetically hoarding the blackest black on earth. Descension is on view through September 10 at Brooklyn Bridge Park's Pier 1. WantedDesign 2017 will kick off its seventh year during NYCxDESIGN on May 17. Each year, WantedDesign puts on a series of workshops, launches, conversations, and events to bring together designers of different disciplines and backgrounds. The weeklong event is split between Manhattan and Brooklyn, a move made in 2015 to acknowledge Brooklyn’s growing influence in the design community. To continue growing WantedDesign Brooklyn, a new event was added this year, WANTED Career Day, which will provide young designers opportunities to network with professionals, companies, manufacturers, and brands. 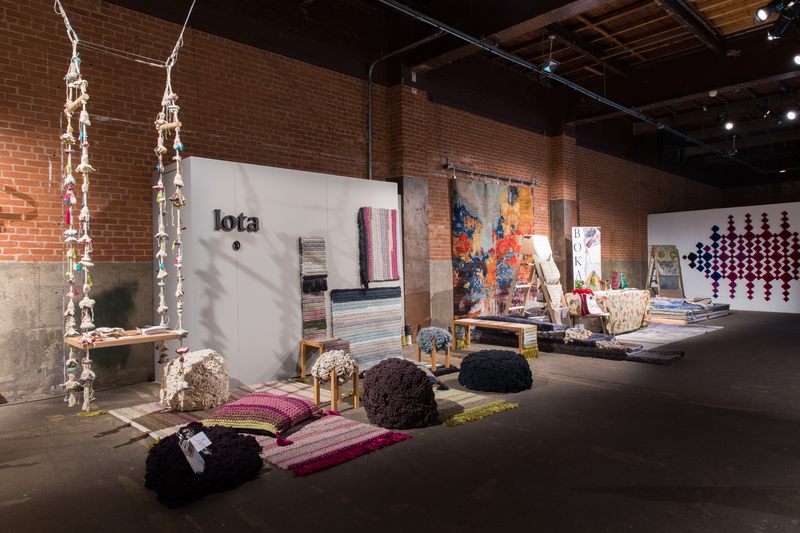 WantedDesign Brooklyn will start off the week of festivities at Industry City in Sunset Park on May 17, with WantedDesign Manhattan kicking off on May 20 at the Terminal Stores building in West Chelsea. Both events will conclude on May 23. In anticipation of WantedDesign, The Architect’s Newspaper spoke with its co-founders Odile Hainaut and Claire Pijoulat about what architects can expect at WantedDesign and what they hope the event will do for the design community. The Architect’s Newspaper: WantedDesign focuses a lot on connectivity: designers to manufacturers, students to professionals, U.S. designers to international designers, etc. Are you hoping to forge a long-lasting difference in how different professions in the design world work together? Odile and Claire: Absolutely. We strongly believe that great ideas [and] great projects come from great people from diverse backgrounds working together. We build [on this] year after year…and this is certainly the most interesting part of what we are doing: building solid and long lasting exchanges, resulting in sustainable and long-term collaborations. Speaking of connectivity, how do you see architects and product designers working together in the future and pushing design forward? Architects and product designers are definitely two different “families,” even if there is more and more crossover and architects going to products and vice versa. There is certainly a specific learning and skills needed for each activity, and one can’t replace the other, but working together is a great thing and for sure pushes design forward. The WANTED Career Day is a new event this year. What led you to start this event? What are you hoping will come out of this for the candidates and recruiters involved? May is the time [that brings into] town all professionals, established names of the industry, as well as freshly graduated students starting their creative career and dreaming about meeting those professionals. We have this mix at WantedDesign of established and young talents and design schools… we are committed to supporting young creatives. All year long, we [had] companies telling us they are looking to hire and are desperate to find good candidates. We thought it was just bon sens to organize this, and also feel that’s part of our responsibility, and part of NYCxDESIGN’s mission to facilitate job opportunities. Our goal is certainly to make good “matches,” and to organize a new Career Day during the year, and certainly in May 2018. How do you see events like WantedDesign influencing the design community and sparking innovation? We offer a platform that is very different from any other design fair or trade shows, offering manufacturers and designers a place for creative and storytelling installations, that very often offer different approaches, visions, or capabilities. We certainly propose a new way to inspire and connect people that is more engaging [and] more exciting. We envision WantedDesign more as a design forum and not just a place to launch products…. Equally, [it’s] a place to share ideas [and] engage meaningful conversations and collaborations. Maybe the way we influence the design community is in emphasizing the quality of the relationships and in building a valuable and rich network. For visitors coming to WantedDesign from an architecture background, what would you say is the most interesting event(s) for them to attend? We will very much [be] focusing and talking about well-being and about [the] responsibility that comes with design and production. [A] few great installations to look at specifically for architects at WantedDesign Manhattan this year: Mohawk Group, Wolf Gordon, and certainly 3M presenting the latest innovative materials/surface collection. The Wanted Interiors /Creative Life Space presented by Sony Life Space UX will be really interesting as well. That’s a new program that we are particularly enthusiastic to launch this year. It reflects our search for [a] new way for our visitors, and in particular architects, to discover products and possible application, interpretation, and transformation. [A] few not to be missed talks at WantedDesign Manhattan for this audience: Saturday, May 20, 2pm-3pm – “Designing for Movement” – Conversation Room at Grimshaw. Moderated by Susan S. Szenasy, Publisher/Editor in Chief, Metropolis Magazine, with Randy Fiser, chief executive officer, American Society of Interior Designers, Joseph White, director of workplace strategy, design, and management, Herman Miller, Anastasia Su, co-founder and creative director of 13&9 and Martin Lesjak, co-founder and creative director of 13&9 and CEO of INNOCAD Architecture. Sunday, May 21, 2pm-3pm – 2017 Color + Design Vision – At Mohawk Gallery. Join Royce Epstein, director of design segment for Mohawk Group, as she presents the 2017 forecast of color and design trends. This inspirational lecture looks at how cultural shifts affect design, and how trends today impact design across multiple disciplines to create a new visual language. One talk to put on the calendar as well at WantedDesign Brooklyn: Thursday, May 18, 6pm-8pm – Adapt & Reuse: New approaches for recycling Urban Fabric. A discussion presented by WantedDesign and New Practice New York AIA NY with David van der Leer, Van Alen Institute, Daniel Pittman, design director, A/D/O, Thomas McKnight, executive vice president, planning, development & transportation, NYC EDC, and Andrew Kimball, CEO, Industry City. Moderated by Carol Loewenson, FAIA, partner at Mitchell | Giurgola Architects, with special guests Stacey Anderson and Karen Zabarsky of MakerPark. For more information about the events going on at WantedDesign or for tickets, visit the WantedDesign website here. May is around the corner, and with it comes the fifth edition of the Collective Design fair, occurring May 3 through May 7 as part of NYCxDESIGN. The event will be at The High Line’s former southernmost terminal, Skylight Clarkson Sq, a “horizontal skyscraper” spanning three city blocks in West SoHo. As if the venue wasn’t interesting enough, Collective Design has now announced several installations to christen the space. 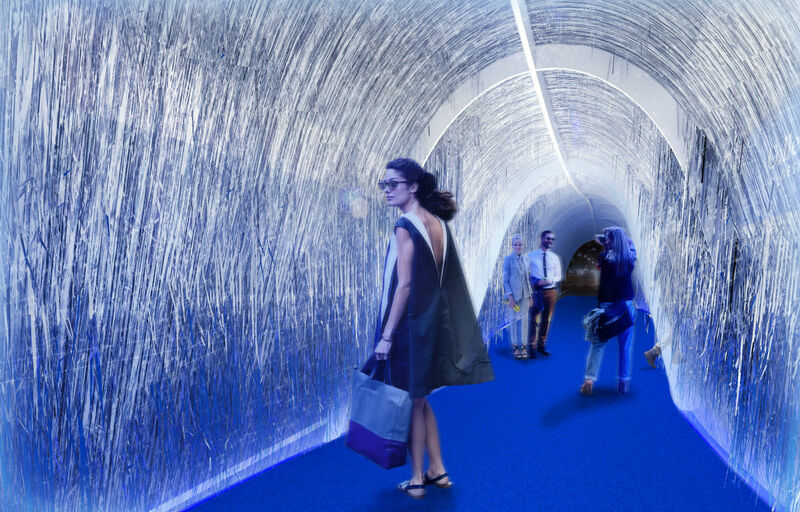 Following in the footsteps of last year’s Glacial Drift by Brooklyn-based The Principals, The LAB at Rockwell Group has designed a 40-foot-long “blue carpet” that passes through a glittering tunnel as the fair's entrance. The in-house design innovation studio found inspiration for the experience in the red carpets of Hollywood and their choreography and their promises of excitement. “Our goal was to create an entry experience that plays with the theatrical moment of the red carpet, and also blurs digital technology with a physical structure,” said Melissa Hoffman, studio leader at The LAB, Rockwell Group’s in-house design innovation studio. “We ended up transforming the typical entry experience into a shimmering, seductive structure immersed in Collective’s signature blue color.” The tunnel will be fabricated by Brooklyn-based The Factory NYC, built from plywood ribs cut on a CNC router. The structure will then be clad entirely in mylar foil fringe, which will give the tunnel its glamorous shimmer. The passage will also expand and contract, giving it the illusion that it is breathing and adding a touch of other-worldliness to the grand entrance. After traipsing through the breathing blue tunnel, visitors will experience another kind of living corridor: an indoor classical garden designed by Brook Klausing of Brook Landscape. The installation will feature raw timbers from the Rockaway Boardwalk, salvaged in the aftermath of Hurricane Sandy, and select pieces from Natural Workshop, a collaboration of Klausing and Brian Green, who is launching a new product line this spring. Other installations include The Noguchi Museum’s Waiting Room: Noguchi/Stadler, an exhibition of Isamu Noguchi’s work alongside designer Robert Stadler, which mimics the strangeness of waiting spaces and “public and private forms of standing-by.” Huniford Design Studio, led by James Huniford, will be furnishing the VIP Lounge for the fair, showcasing furniture from the Huniford Collection, a luxury furniture line from the designer launching this spring. Also making an appearance is Stickbulb, a handmade lighting brand that utilizes sustainably sourced and reclaimed wood. They will be installing a limited-edition piece made from reclaimed redwood planks salvaged during the demolition of New York City water towers. Alongside the announcements of these exciting installations, Collective Design also announced the addition of several major partners for 2017: The Museum of Arts and Design, Cooper Hewitt, Smithsonian Design Museum, Storefront for Art and Architecture, Open House New York, The Architectural League of New York, Royal Academy of Art (RCA) in London, New York School of Interior Design (NYSID), School of Visual Art (SVA), and Bard Graduate Center (BCG). With the announcement of these installations and additions to the fair, May is shaping up to be an inspiring and exciting month for the New York City design community. You can find more information about the Collective Design fair here and more information regarding NYCxDESIGN’s many festivities here. designjunction + Dwell on Design opened May 13 in Chelsea’s ArtBeam space with nearly 30 design brands and a series of talks, kicking off with an architecture breakfast with AN’s senior editor Matt Shaw with Kai-Uwe Bergmann, partner at BIG Architects. A departure from the architecture-focused keynotes of Dwell on Designs past, this year’s speaker is illustrator Bob Gill (best known for his 1968 cover art for George Harrison’s Wonderwall Music album), who will discuss his experiences of the changing design landscape over the past 65 years. Other speakers throughout the weekend include New York designers such as Sandy Chilewich, Stephanie Goto, David Weeks, and Gregory Buntain of Fort Standard. 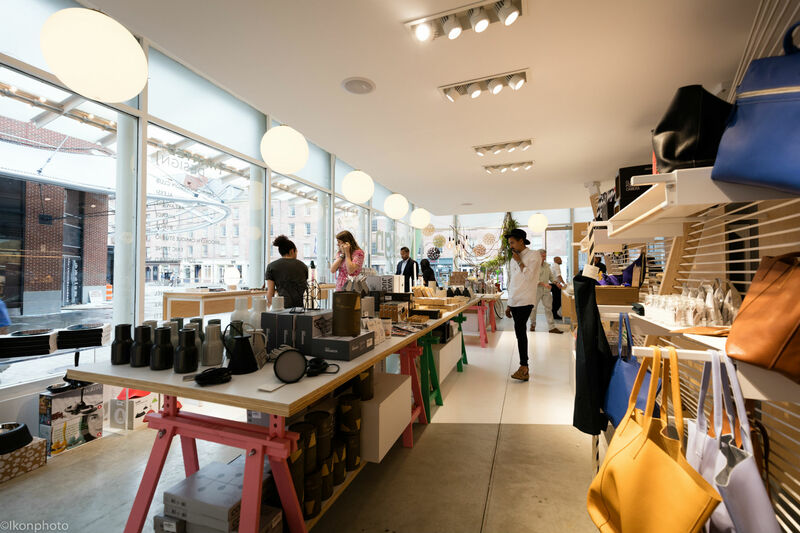 The loft-style space was filled with international designers both large and small, from heavy hitters like Artek and Muuto to independent designers, such as U.K.–based Melin Tregwynt and Croatian design platform Stufff Concept Store, among many others. WeWork created a pop-up workspace, encouraging visitors to try out the modern office and a cafe by Vitra that also offers places to sit and linger. Some standout wares included British Dyke & Dean’s Spatterware enamelware, lighting company’s Haberdashery stunning Leaf installation, and Stufff’s Ili Ili lamps and Lacescape coffee table. design junction + Dwell on Design will run through May 15, 2016. The Architect's Newspaper is reporting from the first day of WantedDesign's marquee event in Manhattan (which runs through May 16). 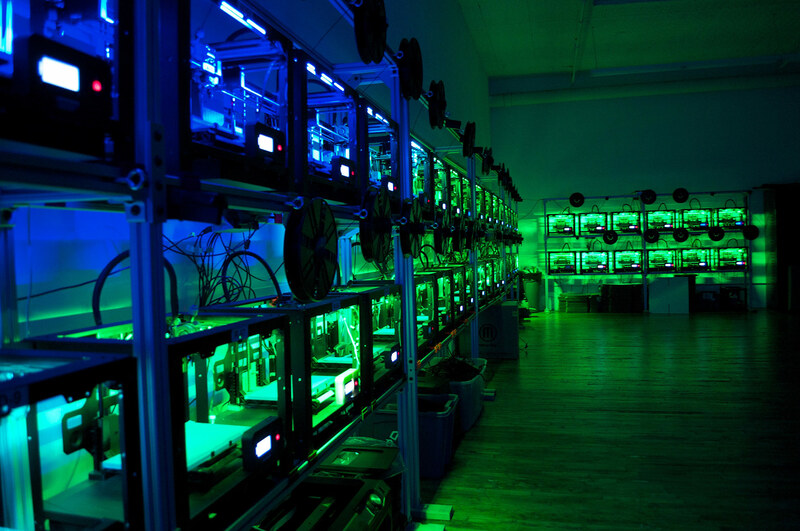 WantedDesign's programming takes place throughout the year, although the platform's biggest show is during NYCxDESIGN. Founded in 2011 by Odile Hainaut and Claire Pijoulat, WantedDesign also holds a parallel showcase in Brooklyn's Industry City that runs through May 17. In Manhattan this year, there are more than 170 exhibitors from over 20 countries. Here are some highlights from the show: Handmade Industries The Make&Mold RYB collection by Netherlands–based Handmade Industries are a line of vases and vessels made from biodegradable polymers, formed in a flexible mold. Bright fades are created with red, yellow, and blue pigments. 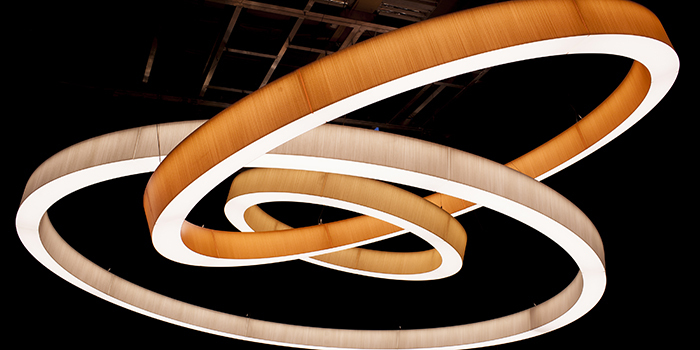 LightArt + iwoodlove LightArt is a lighting fabrication and design practice based in Seattle. The FIVE X collection on display at WantedDesign was inspired by a trip to Lyon to visit French design studio iwoodlove. Each geometric piece is digitally fabricated and fully customizable to the client's specifications. All the firm's lighting products, including Pivot, pictured below, are manufactured in their hometown. BLACKBODY is a French manufacturer that crafts mutable lighting cascades that are intended to respond to the user's emotions. Their Rain 61 by Thierry Gaugain ceiling fixtures can be massed in different configurations to create a starry effect in most rooms. kinder MODERN (kM) specializes in 20th century vintage children's furniture, as well as contemporary object, furniture, and accessories geared towards young people. The kM Contemporary Collection includes “few-of-a-kind” lighting, tchotchkes, and furniture, like the Takeshi Sawada–designed diminutive Sheep and Bambi chairs, fashioned to resemble their animal inspirations.